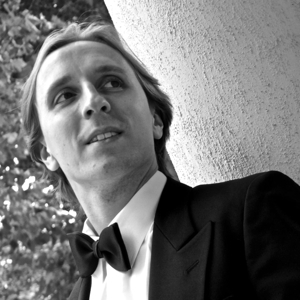 Winner of the 2004 Vlado Perlemuter Award, Aleksander enjoys a varied schedule of solo piano, concerto and chamber music performances across the world, having played in more than twenty-five countries over four continents. Aleksander was born in Southampton to Polish parents, and has been playing the piano since the age of five. He was awarded the Wilner Scholarship to study at Trinity College of Music under Anthony Green and Douglas Finch, where he won prizes for piano, chamber music, vocal accompaniment and composition, including first place in the John Halford and John Longmire Piano Competitions, the John Ireland Chamber Music Prize and the Leonard Smith Duo Prize for Strings and Piano. He also came second in the inaugural PACA Piano Competition. Upon graduation, Aleksander was awarded the TCM Trust Silver Medal, as well as the Haynes Scholarship, the Stopford Scholarship and the Joan Greenfield Fellowship to fund his study for a MMus Degree, which he passed with Distinction. He was subsequently awarded the Worshipful Company of Musicians’ Silver Medal for Excellence in Performance, and the Wilfred Stiff Prize. Aleksander has also studied with Martino Tirimo, Mikhail Kazakevich and Yonty Solomon.